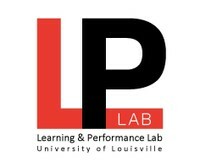 Welcome to the Learning and Performance Lab at the University of Louisville, directed by Dr. Marci DeCaro. Our research investigates the cognitive processes that support learning and performance. The primary focus of our current research is to examine how understanding of human cognition can be applied to improve educational instruction. We also study problem solving, particularly the factors that lead to more flexible or creative problem-solving approaches. This work is conducted in both the laboratory and classroom. Click to learn more about our Research Focus, People, Publications, Popular Press, Lab Alumni, or to Contact Us.